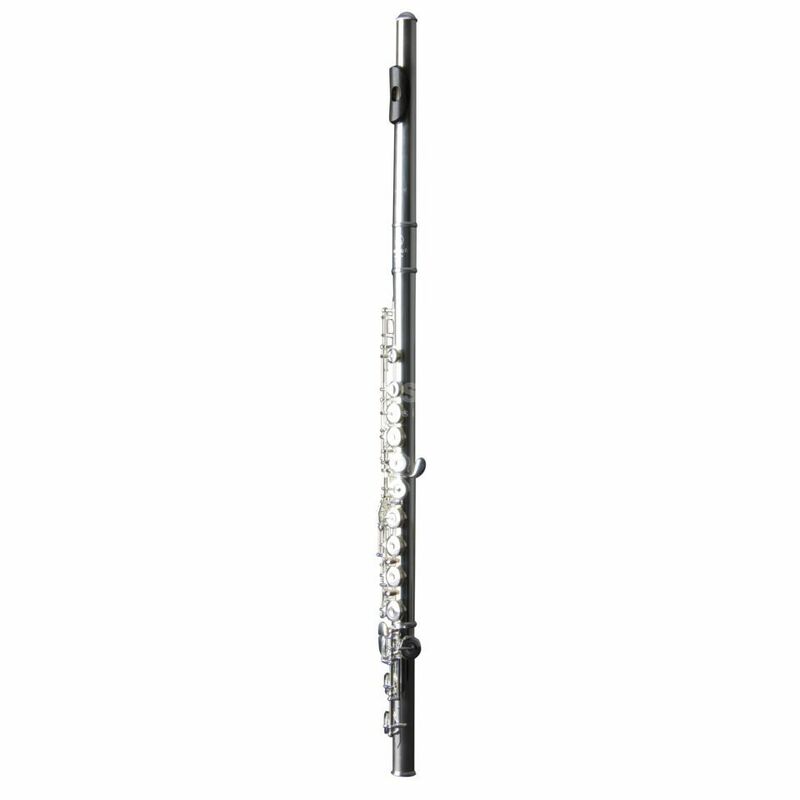 The Tomasi TFL-09 GR Flute is a silver-plated flute, with a solid nickel silver body and mechanics, and includes a case and accessories. The lip plate, grenadilla wood occupies a special position. This flute's full color tone not only appeals to lovers of this particular flute sound, it also offers the best conditions for those who are prone to produce rather colorless sounds using a conventional lip plate. Blackwood is one of the heaviest and hardest woods, and its consequent rough surface structure is likely responsible for the particularly warm and harmonically rich sound of the lip plate. The roughness of the surface material is an important predictor for the turbulence of the air in the mouth hole. This product blew me away. Excuse the pun. I found on observation that the flute has a very warm rich tone that cannot be achieved on many other nickel/ silver flutes. This is as stated in the body of text due in part to the Blackwood lip plate. It’s expertly made, of a fantastic and ezpectional quality, fluid motion with the keys, amazing opportunity to have offset G, open or closed hopes due to the ‘key caps’ that can be added or removed. Features of this flute are varied and simple to use, making this flute more desirable to advanced players alike. The only reason I have rated this product a 4 star in the features category is because this flute lacks the option of a C# trill key, (please do correct me if I’m wrong) much like other flutes have on offer. Worth the money and certainly worth a play test before buying!